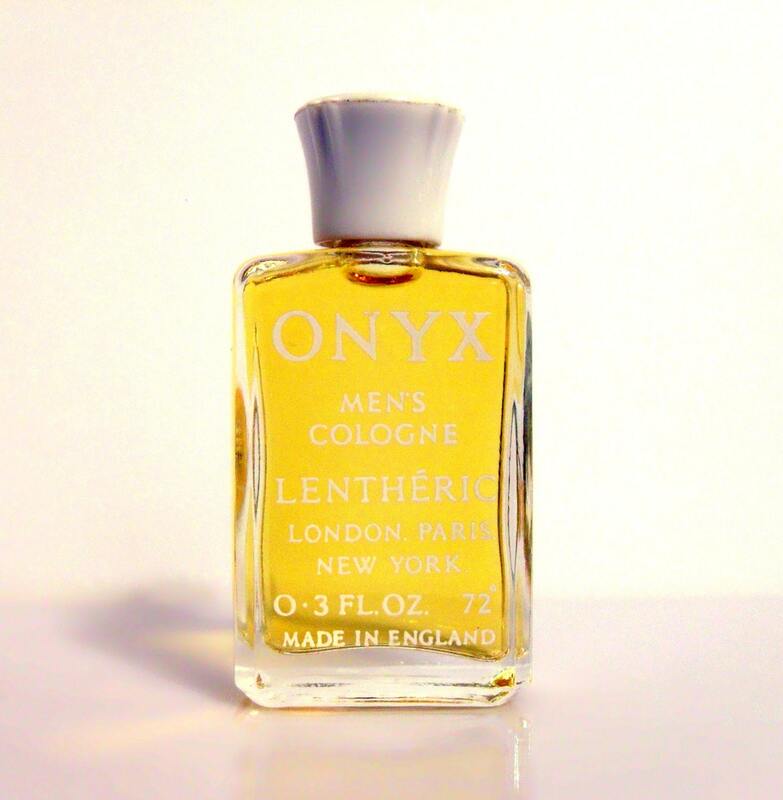 Vintage 1960s Onyx by Lentheric 0.3 oz Cologne Splash Mini Miniature Cologne. No box. Bottle stands 2.25" tall. Onyx was launched in 1964. It was classified as a green floral fougere fragrance for men with fresh citrus top notes layered over a warm woody leathery base.